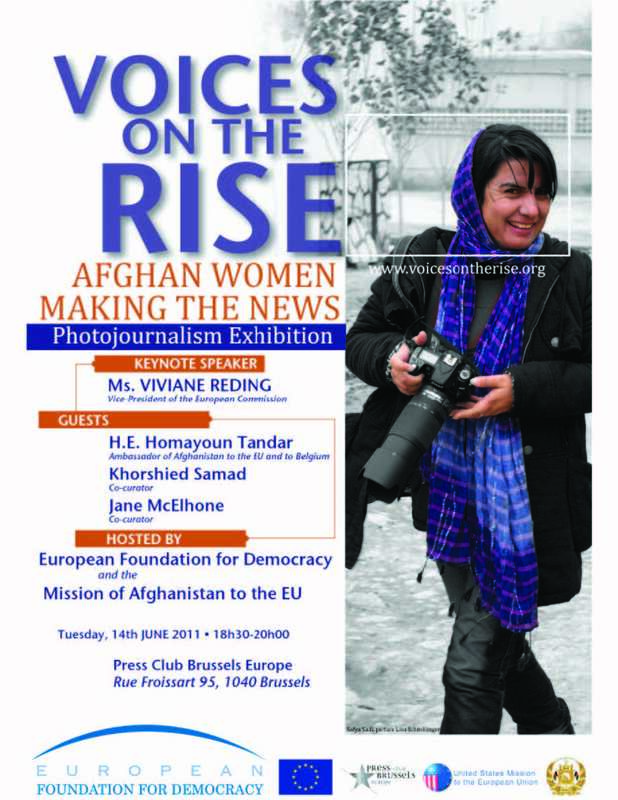 Voices on the Rise: Afghan Women Making the News provides a look into the lives of Afghan women journalists, producers, managers, writers, photographers, filmmakers, human rights activists and parliamentarians. The photographs were first exhibited in Canada in October 2006; since that time, Afghan women have been battling increasing uncertainty, juggling newly-found freedoms with traditional responsibilities at home, and struggling with the ghosts of their country’s harrowing past and its on-going conflicts. Several of the portraits in the exhibit, including one featured on the promotional poster (above), were taken by Lisa Schnellinger.